I’ve been trying to keep to a rigid workout schedule. Not so much in what I do, but when I do it. I will choose downhill skiing over cross-country skiing any day, but when it comes to cardio, I’d much rather cross-country ski than run. My routine is this: bring the kids to school & set temp basal when I get home, set timer for 1 hour and eat & bolus for breakfast, start cardio when the timer goes off & set high temp basal when I’m done cardio as long as I’m not low. Earlier this week I decided I would not use the timer, but I was catching up on TV episodes, so I’d just use the ending of the episode to start. What I forgot to check though was how long the episode was. It seemed like I had been sitting for quite a while, and that is when I realized that I was watching a 2 hour episode, rather than just 1. 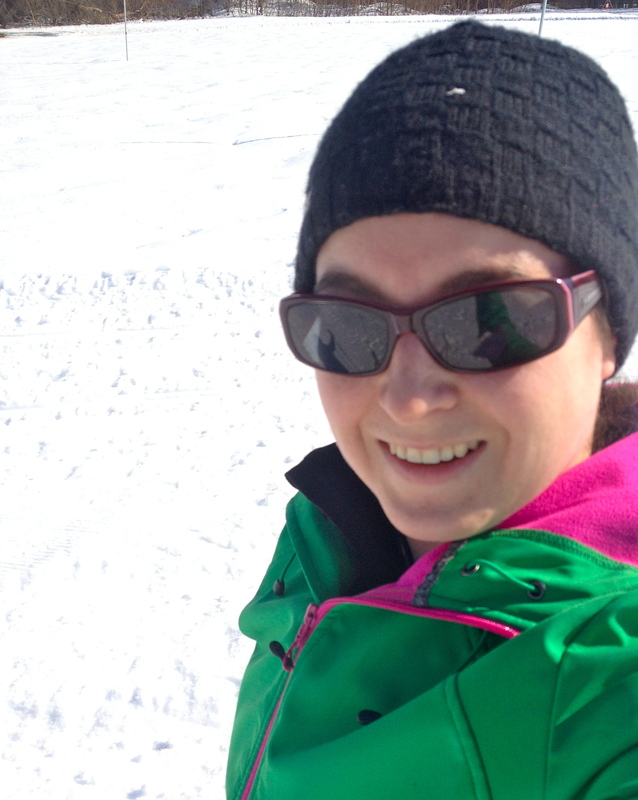 My blood sugar was steadily climbing, so I jumped in the car and off I went to ski. Skiing was fabulous, it was sunny & warm and the snow was fast. I found a new trail and followed it all around. I even went over a little bridge. It was fabulous, and my dexcom was reading that I was nice & steady. Later that day though I just kept climbing and climbing and climbing. Nothing I did was helping, and all of a sudden I was nearly 500. A quick shot and the numbers started coming down. The feeling of grossness was slower to leave though. The lesson I learned? No matter what, always set the timer for exercise. Is that a new jacket? Nice!